For the second weekend of Circus Sampler, trailblazers Gandini Juggling premiere a special commission, Cascade. 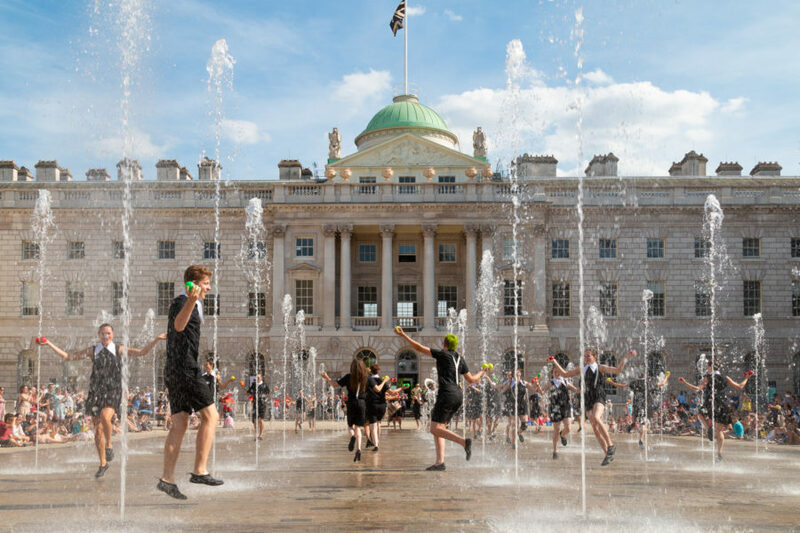 Performing within the rise and fall of the fountain water jets, 30 jugglers will send balls large and small flying to the rousing sound of brass music played by French acrobat-musicians, Circa Tsuica. As the Gandinis weave patterns in the air, the constant flow of movement and sound will be mesmerising. Cascade is an unmissable, free, outdoor celebration of life, music and beauty. Gandini Juggling are trailblazers in their field, fusing contemporary dance and circus in performances that delight and astound. For over two decades they have performed across the globe transforming juggling into a rich and distinctive art-form in its own right. 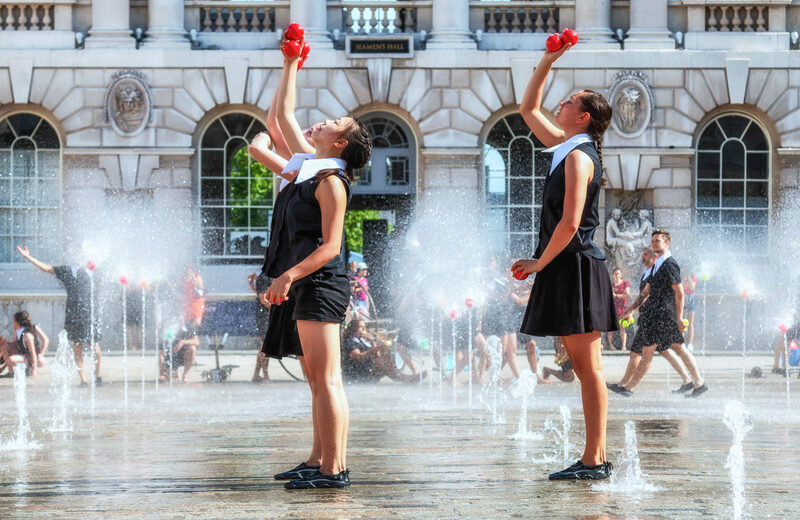 These performances by Gandini Juggling and Circa Tsuica are part of the nationwide celebrations for Circus250, the anniversary of the birth of the modern-day circus in London. A show of elegant, wistful beauty. A clever, cool and wondrous show that gives delight. Formed in 1992 by world-renowned jugglers Sean Gandini and Kati Ylä-Hokkala, Gandini Juggling is at the vanguard of contemporary circus, reinventing and reinvigorating juggling for the 21st century. 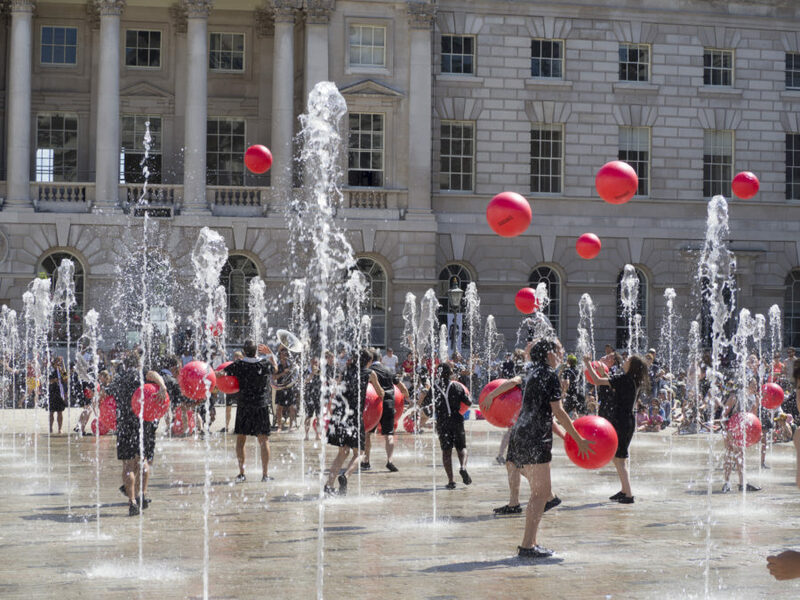 Gandini Juggling celebrates juggling in all its facets. 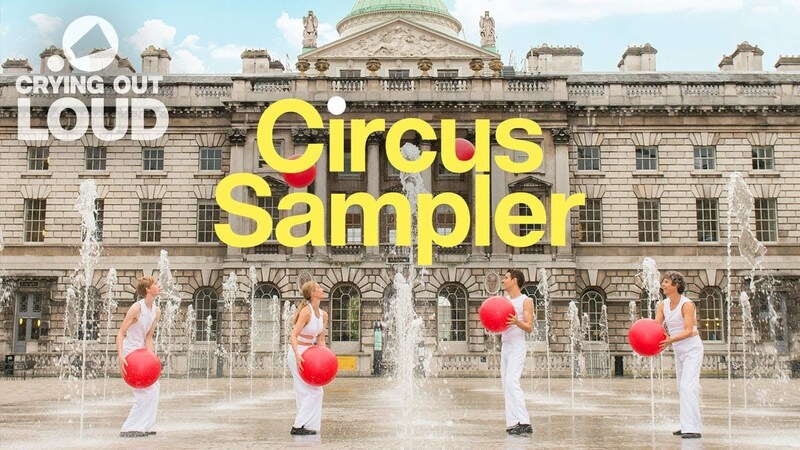 Made up of an ever-evolving ensemble of virtuosic jugglers, they regularly expand to include up to 20 performers for specially commissioned events and performances. They are constantly creating new works, which range from radical art/juggling fusions to accessible theatrical performances, from choreographic studies to commercially commissioned routines. Gandini Juggling have performed over 5,000 shows in 50 countries and they continue to perform at many of the world’s most prestigious festivals and venues throughout the world. These venues range from contemporary French art galleries to German opera houses, from theatres in Lebanon to tents in Argentina. Closer to home the Gandinis can be seen performing at the UK’s major outdoor festivals and venues including the Royal Opera House and the National Theatre. Initially teaming up with pioneering and influential dance artist and choreographer Gill Clarke, Gandini Juggling continue to collaborate with a wide range of cultural leaders. The Gandinis are influenced by a range of disciplines including composers, ballet choreographers, fashion designers, computer programmers, sound designers, set makers and mathematicians. They have spent several seasons working with symphony orchestras, choreographing juggling patterns to canonical classical works and have had music specially composed for them by Tom Johnson and Nimrod Borenstein. The Gandinis are very much in demand at leading circus schools, teaching workshops, creating performances and supporting the next generation of circus artists. 30 productions and 23 years later, Gandini Juggling are still creating some of the most vibrant and challenging performance pieces in the world. 2018 is the 250th anniversary of Philp and Patty Astley’s first modern circus ring in London. Astley’s circuses travelled widely and he included many disciplines and styles of performance in his shows. His spectacles were a place for audiences to meet forces that were shaping the world around them. This global, social relevance married with accessibility, drove circus deep into the cultural consciousness.